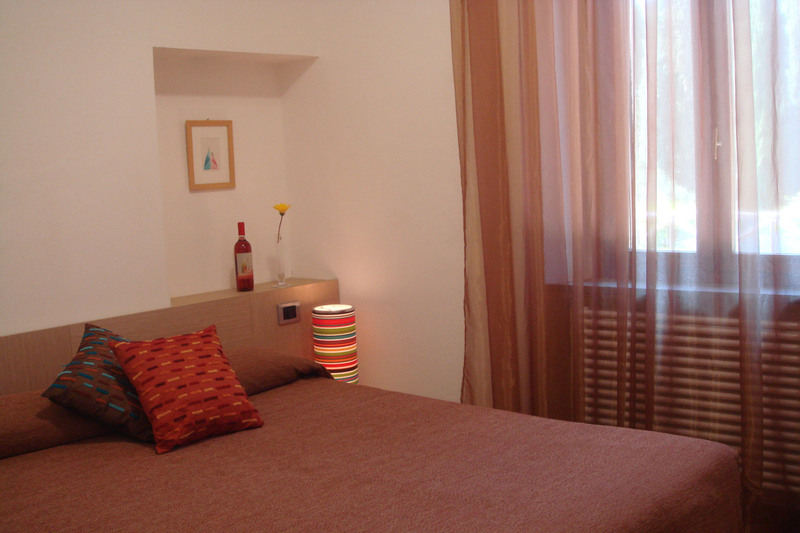 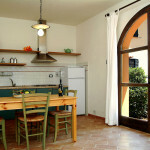 Two-room apartment, 30 m2, ground floor, overlooking the Bulichella yard. 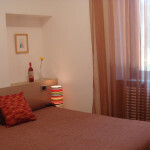 Has a bed with double or queen-sized bed, bath with shower, and a large kitchen. 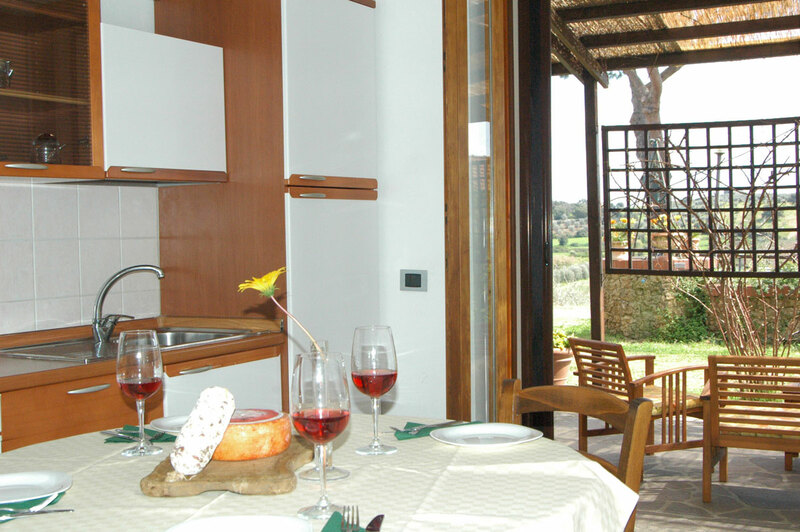 In addition to a view overlooking the vineyards, the apartment enjoys direct access to the TV room (in common with the first-storey rooms) and the possibility of using the barbecue in the yard. 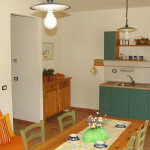 This apartment is not available for guests with dogs. 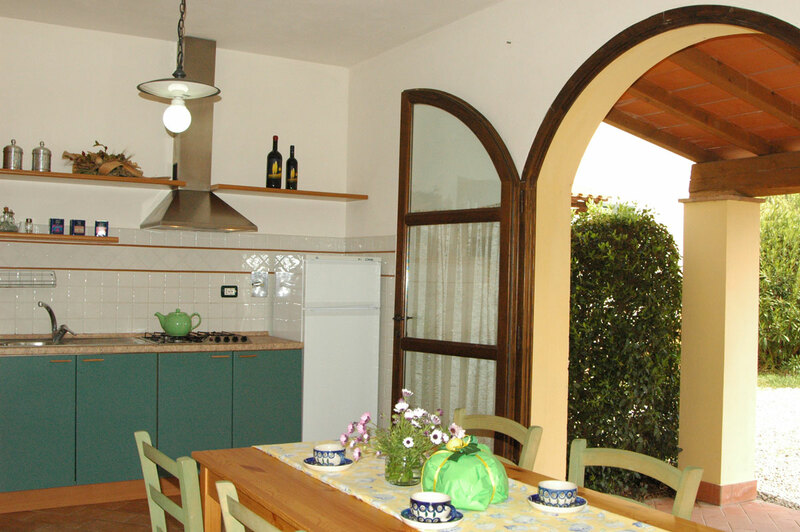 Three-room apartment, an independent 60 m2 cottage with two bedrooms with double or queen-sized bed depending on the guests’ needs, a sofa bed in the kitchen, a bath with shower, and a porch with table. 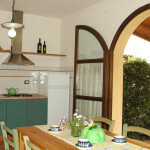 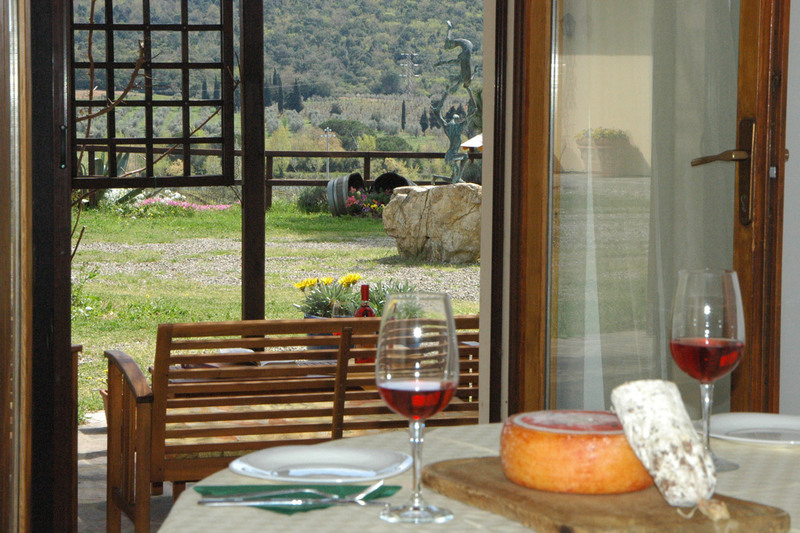 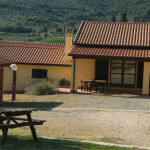 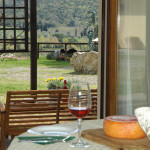 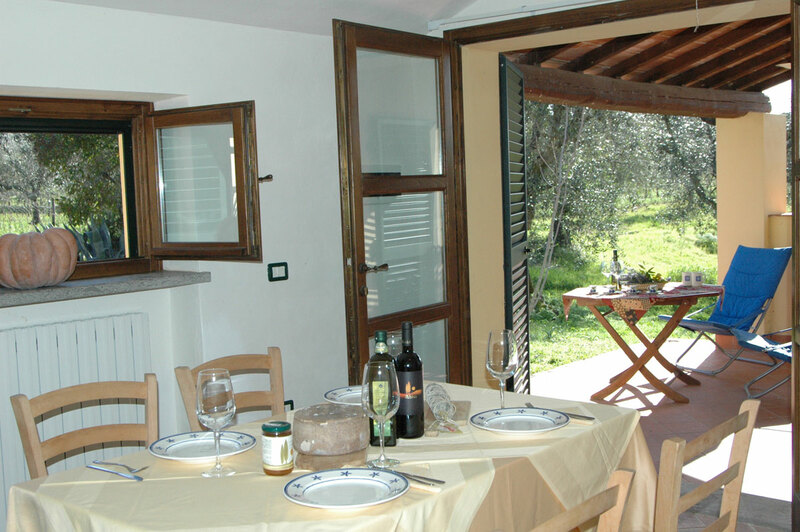 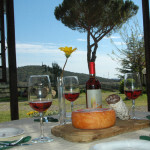 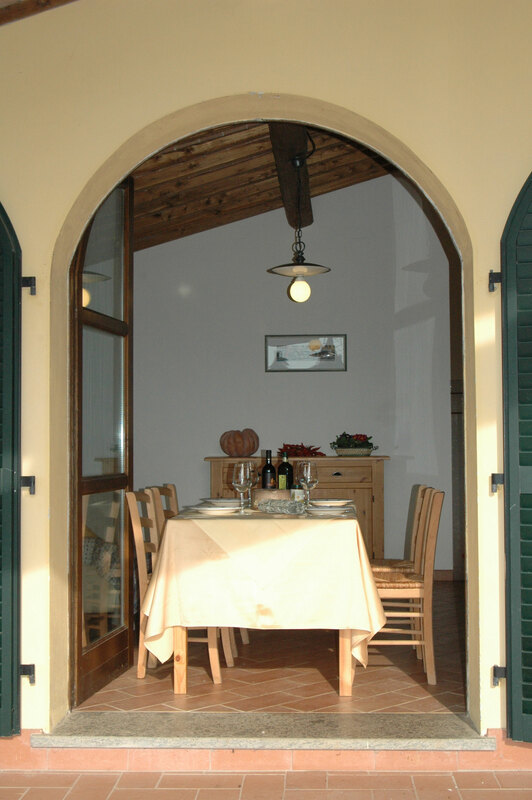 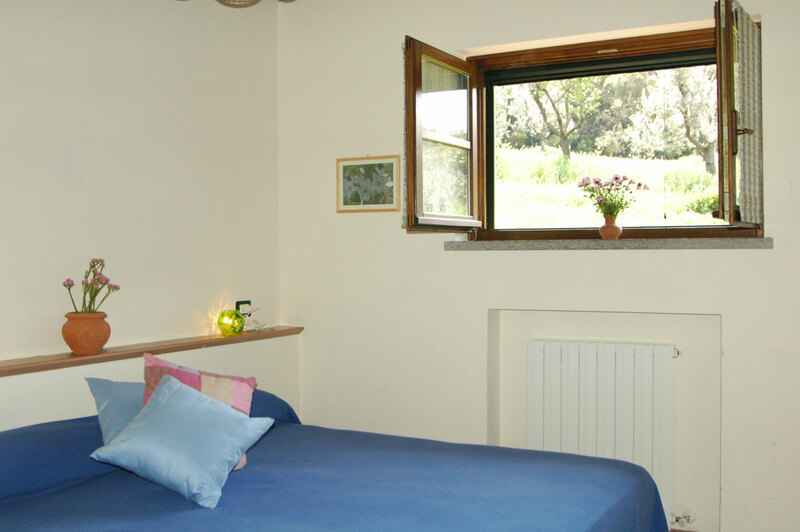 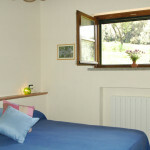 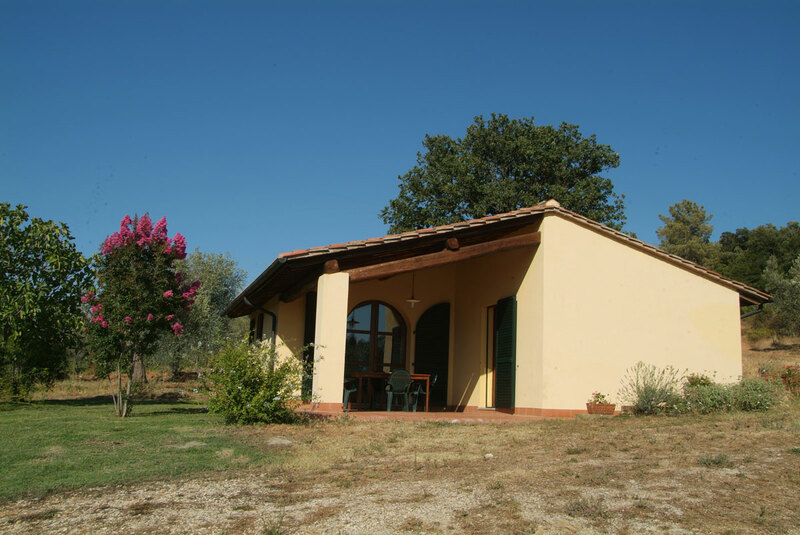 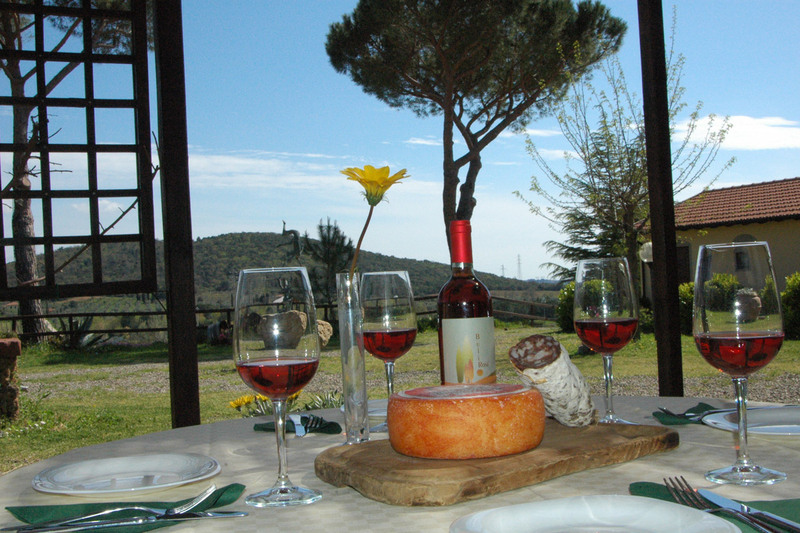 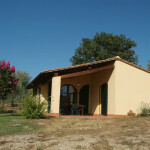 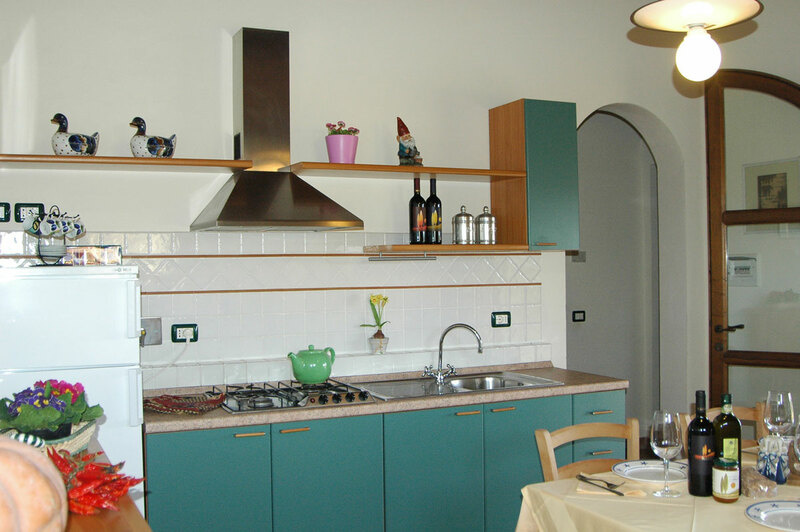 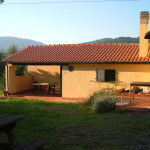 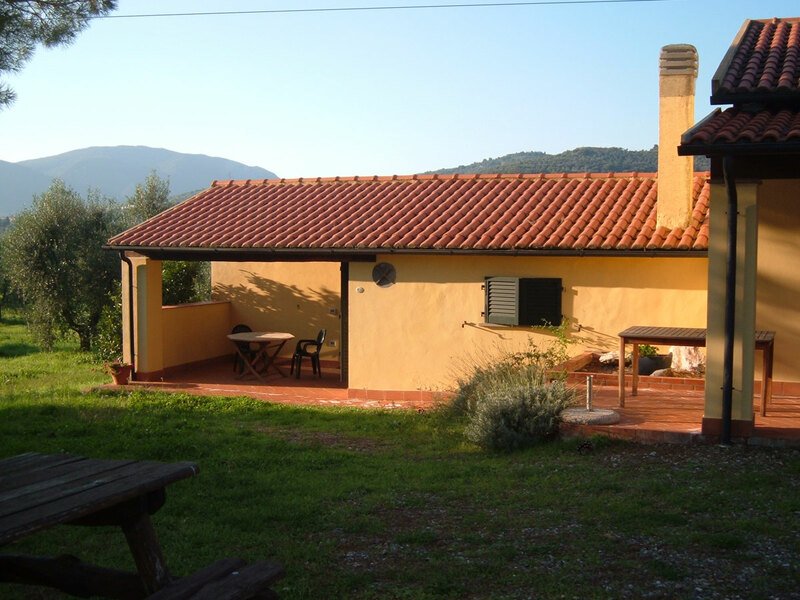 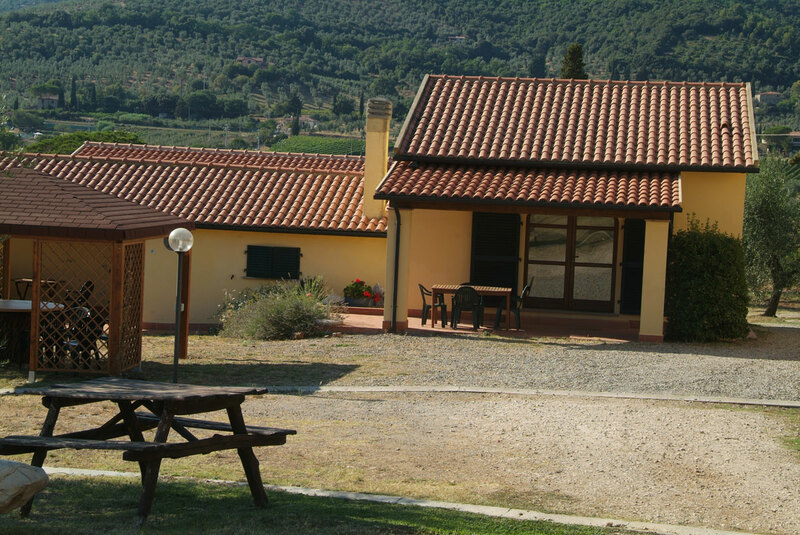 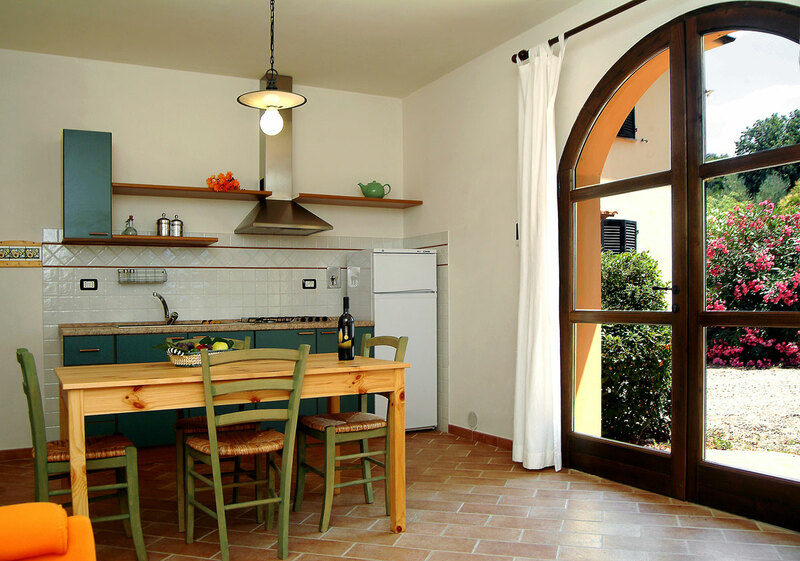 Apartment situated 600 m from the farm’s main house amid vineyards and olive trees, reachable by car. 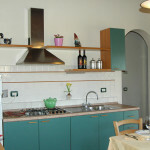 Two-room apartment on the ground floor, 45 m2, with a bedroom with queen-sized bed and single bed, kitchen/living room with double sofa bed, bath with shower, and a porch with table. 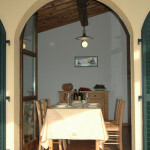 Two-room apartment on the ground floor, 35 m2, with a bedroom with queen-sized bed, a large kitchen /living room with double sofa bed, bath with shower, and a porch with table. 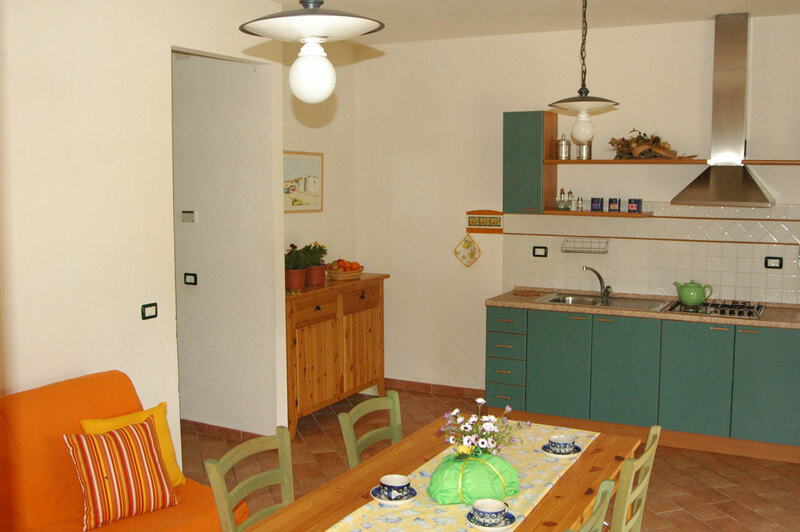 Water, electricity, and gas consumption included in the price. 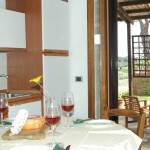 Upon request apartment guests may enjoy the buffet breakfast, € 8.00 per person.